A time ago I impulse bought some cookie cutters for classic British biscuits: Bourbons, Custards Creams, Jammy Dodgers, etc. 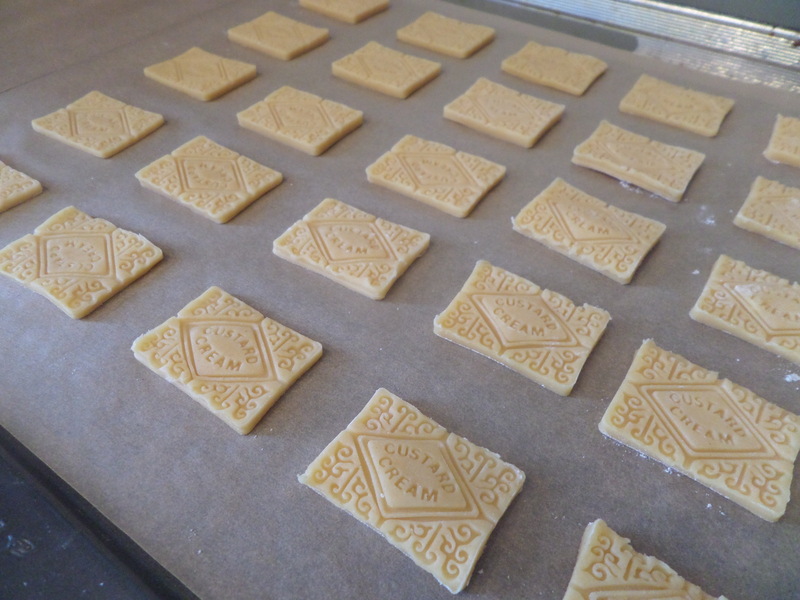 Today I’m trying out the Custard Cream one for the first time. I found a few recipes online from UKTV, Good Housekeeping, and Woman and Home. They’re all pretty similar. 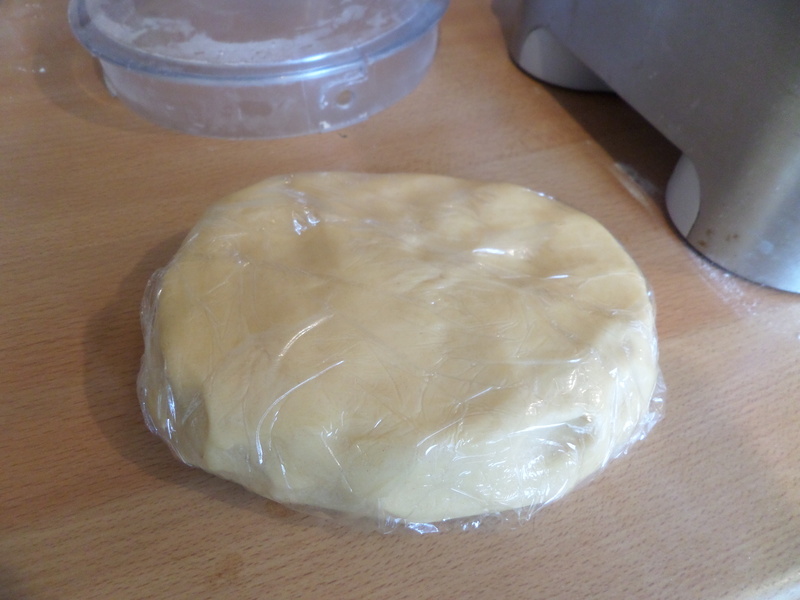 The Good Housekeeping one uses an egg in the biscuit dough, which I worry would make it a bit doughy. The UKTV one uses some white chocolate in the filling, which sounds nice to me, so I’m going with that one. 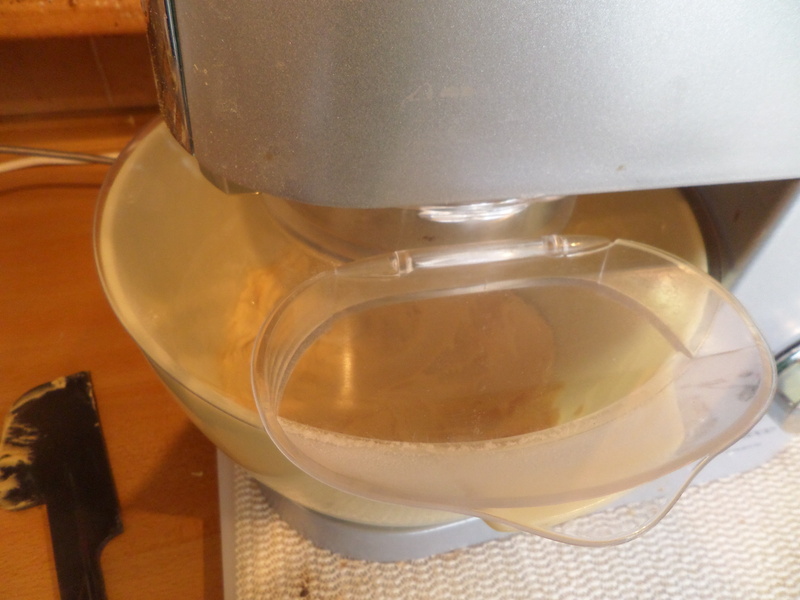 The dough is made in the food processor, so it’s quick and easy. 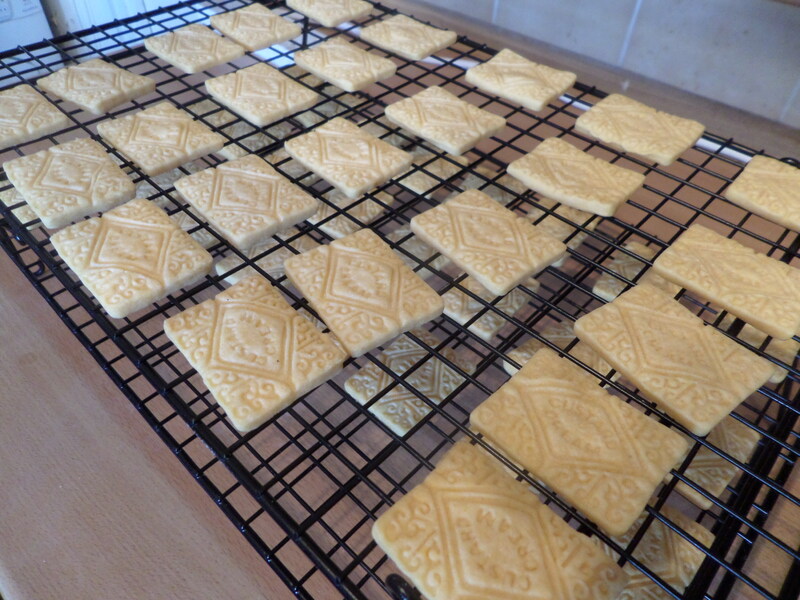 It’s basically shortbread with some custard powder in. Then it chills before rolling out and cutting with the special cutter. 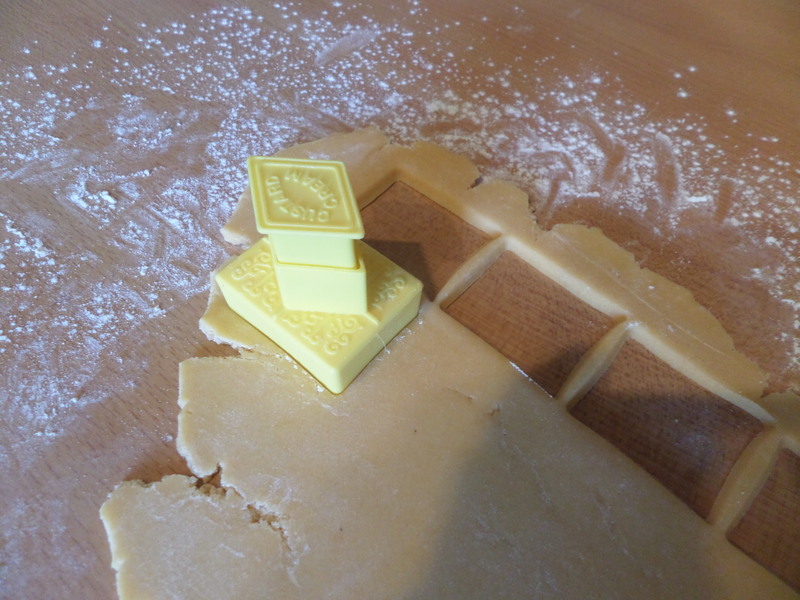 The cutter works really well; you can really see the design! After 10 minutes in the oven… they don’t look much different. However they are baked, and transfer easily to the cooling racks. While they cool I make the filling, which is basically buttercream with some custard powder in. Then it’s just sandwiching them together! 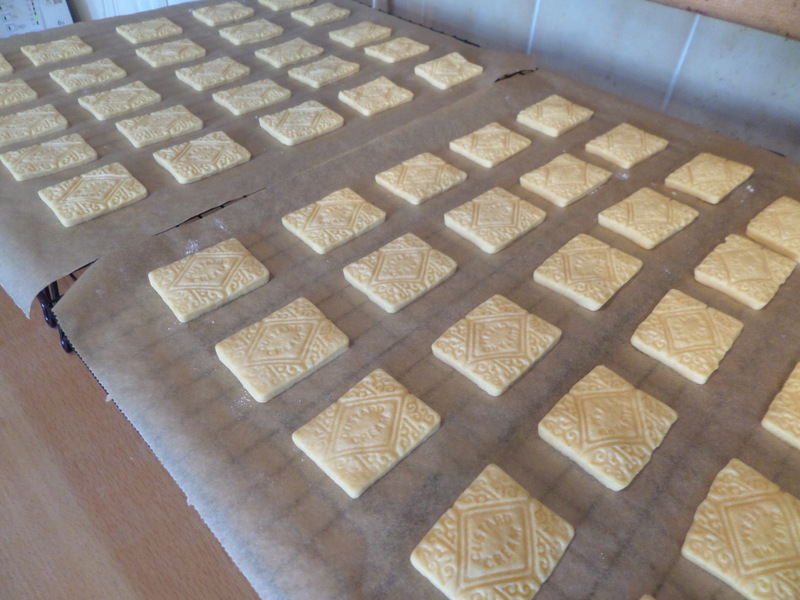 They certainly look like custard creams! As for the taste? Well Soph says better than ‘real’ custard creams. I agree, but they’re not quite authentic: too much vanilla (which might be what Soph likes) and not quite crunchy enough. Next time I think 11 or 12 minutes in the oven is a definite, and I/we want it more authentic, drop the vanilla in either the biscuit or the filling. 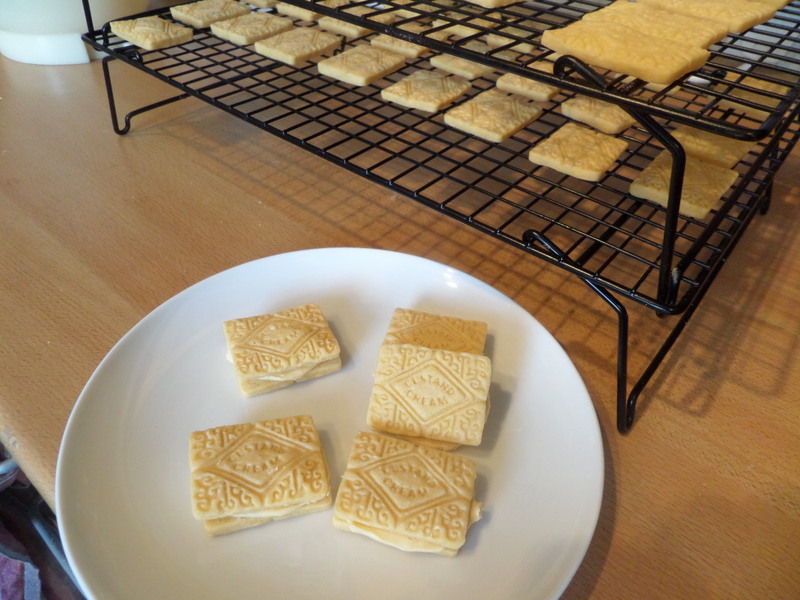 Your custard creams really look authentic. I dare not buy custard creams because I cannot leave them alone – I keep dipping into them until they’re all gone.